February is National Pet Dental Health Month, which means this is a great time to talk about the dental and oral health of your cats and dogs. While you may not think about watching your cat or dog’s teeth for signs of ill health or disease as much as you watch their coat, eyes, appetite, and behavior, the health of your pet’s teeth, gums, breath, and tongue are good indicators of their general health. But more than that, your pet has unique oral health concerns, just like you or any other member of your family! So it’s good to consider those as seriously as you consider their dietary needs, exercise habits, or grooming. VRC in Malvern, PA has a board-certified dentistry and oral surgeon on staff for specialty care, though your primary veterinarian in the greater Philadelphia area is the person you should turn to when you have concerns about your pet’s oral health. Here at VRC, we are highly committed to general pet health, and that means raising awareness of the fact that your pet’s dental health is more than just a cosmetic issue. It’s very real and very important to keep an eye on! 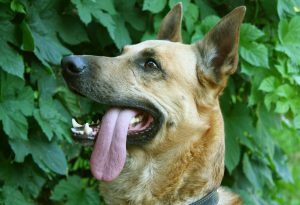 A dog or cat’s breath, teeth, and tongue can tell us a lot about their health by indicating disease, minor or serious. Yellow teeth and bad breath aren’t just signs of aging—they can be symptoms of many sorts of complaints. You should also make sure to watch your cat or dog’s gums for signs of disease. If they’re swollen or bleeding, that’s cause for concern. Likewise, if your dog or cat starts chewing or drooling abnormally, this can be an indicator of gum or tooth pain and disease. Broken or loose teeth can also pose a danger to your pet’s oral health. And if you can’t get your dog or cat’s mouth open to take a look at their teeth—cats especially are difficult to manage—keep an eye on their eating habits. If your dog or cat shows signs of reduced appetite or just refuses food entirely, that can be an early sign of tooth pain or breakage, or gum disease. pet’s teeth and gums healthy, it’s important to make sure good oral care begins at home. This can mean giving them dental treats instead of regular treats, buying toys that specifically target the plaque on your dog or cat’s teeth, and brushing their teeth. While the last is the hardest thing to do with regularity, it’s a good idea—and your vet can help. There are also great videos online with suggestions on how to make your dog or cat more comfortable with a home oral care routine! If your pet visits with your family veterinarian and it is felt that he or she needs specialty dental care, your veterinarian will refer you to the dentistry and oral surgeon at VRC for specialized attention. 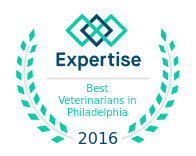 Your pet’s health is important to us, so when you need a specialty and 24/7 emergency veterinary healthcare hospital located in the greater Philadelphia area, give us a call.